DUO Bar has been developed by professional sports nutritionists and is based on race food used by professional cycling teams. 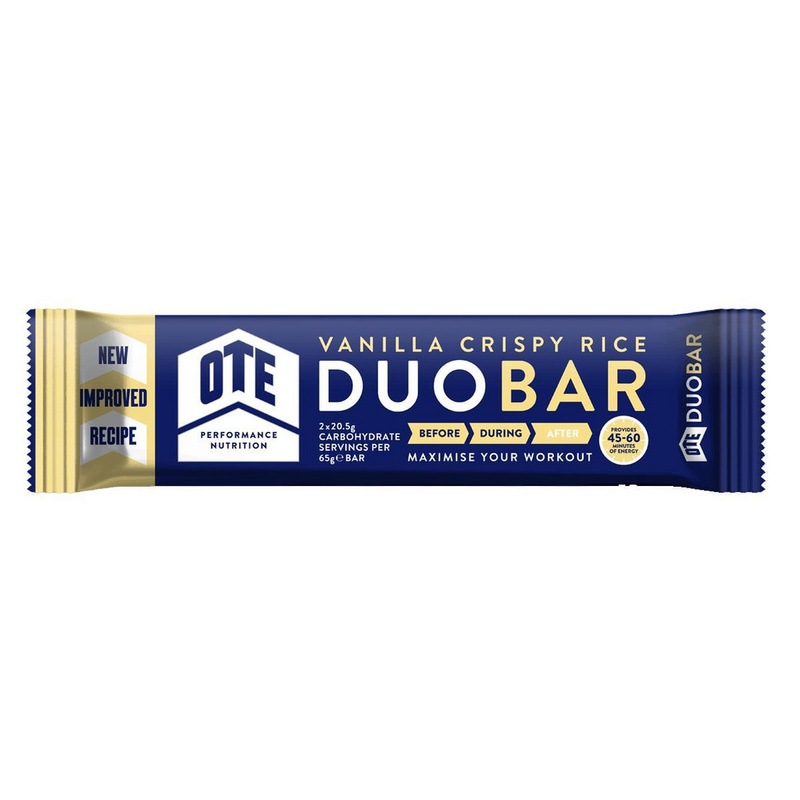 Each DUO Bar is pre-cut into two equal pieces with each piece delivering 20g of carbohydrate (one OTE serving). DUO Bar is ideal to use before, during or after exercise, or as an alternative healthy snack when you are on the go. High in carbohydrate and low in fat, DUO Bar provides an alternative source of carbohydrate to energy drinks and gels if you prefer to take solid food on board during exercise. With DUO Bars you know exactly how much carbohydrate fuel you are taking on board with each piece. Great tasting, easily digested, light on the stomach and contains 40g of carbohydrate per bar, 9g of Protein, a low 4g of Fat, along with vitamins and minerals. 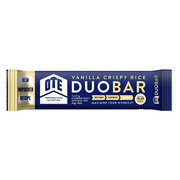 Duo Bar can be used before, during or after exercise, or as an alternative healthy snack when on the go. If you are pushed for time prior to exercise and struggling to take the necessary carbohydrate on board to fuel your workout, taking a DUO Bar 1-2 hours before exercise will give you that carbohydrate boost you need. Always ensure you remain hydrated prior to and during exercise. 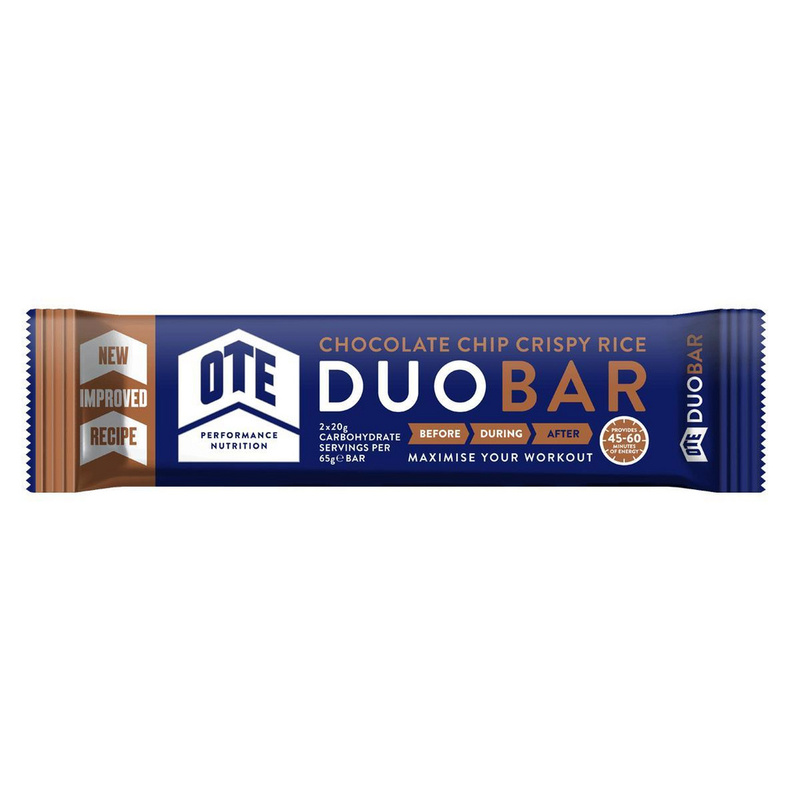 Allergens: OTE DUO BAR includes cereals containing gluten and products thereof, milk and products thereof (including lactose), Eggs and products thereof, Soybeans and products thereof.